You recently graduated or are about to graduate from the UO—yay! But you aren't sure what your next move is. The pressure is on to find a job, but you find yourself wondering where to even start. 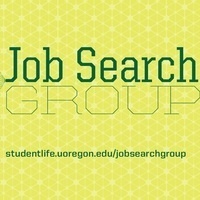 Join our upcoming Job Search Group in Portland and connect with other 2018-19 UO graduates and graduating students looking for work in Portland. You'll get support from a small group of peers, opportunities to connect with UO alumni and hear their job search advice, and concrete steps to get you that job! Sessions are held Tuesdays and Thursdays from noon to 1:30 p.m. beginning April 16 and ending May 2, 2019. Bring your lunch! Space is limited to 2018-19 UO graduates or graduating students. There is no cost to attend. RSVP now to careerpdx@uoregon.edu or by calling 503-412-3701.